Belair-Edison Neighborhoods, Inc. (BENI) is a nonprofit community based organization that works to foster an environment where residents, business owners, and stakeholders feel confident to invest their time, energy, and money. BENI is a Healthy Neighborhoods and Baltimore Main Streets partner organization, as well as a HUD certified comprehensive housing counseling agency. This grant provided core operating support. Bikemore was established to increase and improve bicycle infrastructure, policies, and awareness to create a safer, healthier and more livable Baltimore through advocacy, education and outreach programs that seek to connect citizens to the benefits of bicycling. 2018 saw the launch of the “Big Jump” project–a highly acclaimed protected bike facility bridging I-83, improving accessibility for residents in Reservoir Hill and Remington. This grant provided core operating support. The mission of Community Law Center is to provide free legal services to community and nonprofit organizations throughout Maryland to promote stronger nonprofits and more vibrant neighborhoods. Each year, staff and volunteer attorneys through CLC deliver over 10,000 billable hours of free legal service valued at over $2,000,000. This grant provided core operating support. Creative Alliance neighborhood programs strive to bridge cultural, class and language barriers and generate the sense of community needed to build a safe, vibrant, inclusive neighborhood and city. It is this community-building work in the most racially, ethnically, and economically diverse area of the city that the Goldseker Foundation has supported for more than a decade. This grant provided core operating support. Kids in Need of Defense (KIND) is a national organization with an office in Baltimore that works to ensure that no refugee or immigrant child faces immigration court alone, by providing direct legal representation or recruiting and training pro-bono legal assistance. This grant provided core operating support. The Patterson Park Audubon Center’s work in Southeast Baltimore continues to improve the neighborhoods surrounding Patterson Park through community greening projects and programs that engage adults and school children in stewarding the green spaces in the city that attract and support a healthy bird population. While Audubon’s main purpose is improving the urban environment for birds, the foundation has supported the PPAC given the collateral benefits to the park, surrounding neighborhoods, and schools. This grant provided support for PPAC’s greening and community engagement work. The Southwest Partnership is seven neighborhoods and six institutions working together to build an awesome community in Southwest Baltimore. Residents, business owners, workers, visitors, church members, and partners in the neighborhoods of Barre Circle, Franklin Square, Hollins Roundhouse, Mount Clare, Pigtown, Poppleton, and Union Square, work to build consensus around community development priorities to create a cohesive community of choice where diversity is recognized as strength. This grant provided $115,000 in core operating support and $20,000 for education planning work. Thread is focused on engaging the most at-risk high school students by weaving together a network of volunteers who customize support to meet individual student needs over the course of a decade. Thread’s model seeks to radically reconfigure social support structures for students enrolled to establish a wealth of human connection, permanently linked by unconditional love and support. More than 80 percent of Thread’s alumni have completed a post-high school academic or training program within their ten years in Thread. This grant provided core operating support. Associated Black Charities’ Board Pipeline Program is a strategic intervention that connects nonprofit boards of directors in the Baltimore region and its surrounding areas with a cadre of professionals of color who have received training and professional development from ABC for board service, and thus are fully prepared to hit the ground running as board members. The Goldseker Foundation provided initial seed funding and this grant provided continued program support. This grant follows a 2017 summer design photography fellowship that provided design consultation and photography to approximately 20 foundation grantees. This new grant will provide photography to an additional 4-6 community sites. The Baltimore Arts Realty Corporation (BARCO) is a nonprofit, tax-exempt, real estate development corporation whose mission is to provide affordable, safe and sustainable facilities for contemporary artists, designers, curators, performers and creative ventures and nonprofit arts organizations. BARCO’s focus is on the acquisition and development of properties that fulfill this mission in Baltimore’s three arts and entertainment districts. This grant provided operating support and technical assistance for BUILD and ReBuild Metro projects in Johnston Square. CHAI’s mission is to strengthen neighborhoods with a significant Jewish presence by developing and enhancing housing, affecting community development, and supporting aging-in-community. CHAI provides housing services and works to strengthen schools in Northwest Baltimore through community engagement. This grant provided core operating support. Established in 2017, School Colors is an all-volunteer effort working towards a goal of ensuring that no Baltimore City Public Schools student misses school due to inability to purchase a required uniform. This Management Assistance Grant provided funds for a consultant to help create a business case statement and possible expansion plan. Baltimoreans United In Leadership Development (BUILD) is a broad-based, non-partisan, interfaith, multiracial community power organization rooted in Baltimore’s neighborhoods and congregations. The foundation has supported BUILD’s community organizing in West Baltimore since 2015, with a focus on door-to-door canvassing, identifying resident leaders, delivering training, convening local businesses and nonprofits, and pursuing meetings with public officials and government agencies to address issues of safety, unemployment, neighborhood blight, and lack of youth opportunities. The grant supported community organizing. The Central Maryland Transportation Alliance was formed in 2007 as a diverse coalition of corporate and civic leaders uniting business, philanthropic, and institutional sectors around a common agenda: improving and expanding transportation options for the citizens and businesses of Central Maryland. The vision of CMTA is a thriving metropolitan area which boasts an array of convenient transportation options, including a coordinated system of highways and interconnected mass transit options providing access and opportunity for employment, housing, education, services and entertainment. This grant provided general operating support. Impact Hub Baltimore is a co-working space, community center and innovation lab for social impact designed to enable organizations, entrepreneurs, community members, and partners to connect and collaborate in 8,600 square feet of flexible space. Through programming, support services, and community building, Impact Hub Baltimore connects change makers to the people, resources, and ideas they need to make a tangible impact in Baltimore and beyond. Impact Hub Baltimore’s goal is to attract and retain talent, create jobs, improve access to resources, and build visibility for Baltimore’s visionary social innovators across the city, region, and the world. This grant provided core operating support. Jubilee Baltimore administers the Healthy Neighborhoods program in Madison Park, Mount Vernon, Seton Hill, Charles North, and Greenmount West, and serves as the housing and development partner to the Central Baltimore Partnership. In the latter role, Jubilee co-chairs and staffs the Residential Development and Marketing Task Force and coordinates the Partnership’s grant application for the Baltimore Regional Neighborhood Initiative. Jubilee’s latest large scale project is the redevelopment of the former O’Dell’s building at 21 E. North Avenue. Jubilee is also working with the People’s Homesteading Group to rehab nine long-vacant rowhouses on E. 22nd Street in Barclay, and works with the New Greenmount West Community Association to help long-term homeowners of low- and moderate-income accomplish home improvements, particularly façade upgrades and weatherization projects. This work is now expanding into the East Baltimore Midway neighborhood. This grant provided core operating support. The No Boundaries Coalition is a resident led advocacy organization building a unified and empowered Central West Baltimore across the boundaries of race, class and neighborhoods. Since 2008, the Coalition has brought together residents from Sandtown, Druid Heights, Upton, Madison Park, Penn North, Reservoir Hill, and Bolton Hill to overcome issues that have maintained racial and economic segregation for decades. Currently, the Coalition focuses its organizing on issues related to safer streets, police accountability, more opportunities for young people, increasing voter turnout, and more healthy foods in Central West Baltimore. This grant provided core operating support. The Sixth Branch (T6B) was founded in 2010 by a group of veterans reintegrating into civilian life after service in America’s wars in Iraq and Afghanistan. T6B’s founders noticed a need for veteran serving organizations to provide an outlet for veterans with a desire to continue serving–to become leaders in their communities and to help solve neighborhood level problems. T6B’s mission is to utilize the leadership and skills of military veterans to execute aggressive community service initiatives. From its origin as a community service club for veterans, T6B has grown to host approximately 3,000 volunteers per year from all walks of life every Tuesday through Friday and on the second Saturday of each month. T6B follows the guidance of the communities in which it serves, identifying their needs in coordination with BUILD community organizers and following through with the pragmatic approach of veteran-led culture. T6B currently stewards more than 12.5 acres of green space in East Baltimore across four neighborhoods; provides volunteer support to three elementary schools; and brings together neighbors, veterans, corporate partners, and Baltimoreans of all skills and abilities to improve neighborhoods in Baltimore City. This grant provided core operating support. The Southeast CDC is dedicated to growing and supporting a thriving, socioeconomically and racially diverse Southeast Baltimore where residents share in the success and improvement of their communities. The Southeast Community Development Corporation is one of the oldest community development corporations in Baltimore. Founded in 1975 as Southeast Development, Inc. (SDI), it was the development arm of the Southeast Community Organization (SECO). 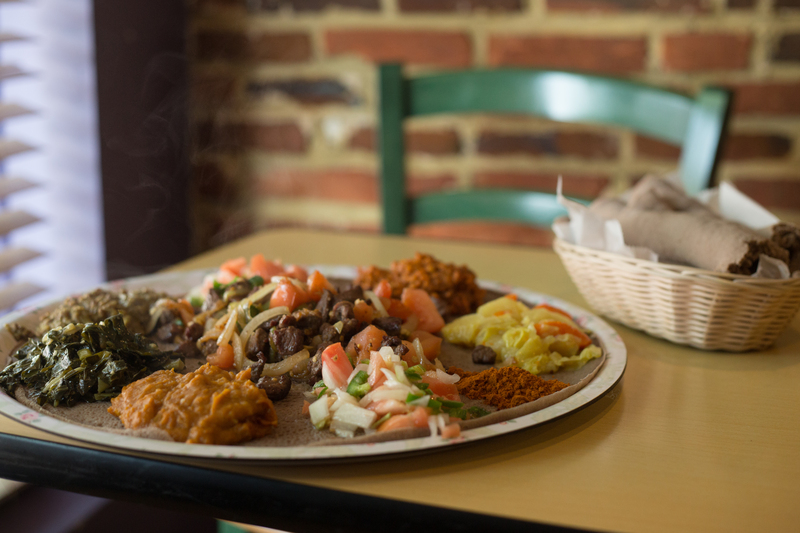 Today, the CDC operates a number of community revitalization programs in the Highlandtown area such as the Highlandtown Main Street District and the Highlandtown Arts and Entertainment District, and the Healthy Neighborhoods program in Greektown, Highlandtown and Patterson Park. With funding from the Baltimore Regional Neighborhood Initiative, SECDC also supports work in the CARE, McElderry Park, and Madison East-End neighborhoods. In addition to its community revitalization work, the CDC offers financial counseling, first time homeownership counseling, and foreclosure prevention counseling, and is the lead agency for two Community Schools-–Highlandtown Elementary/Middle School #237 and John Ruhrah Elementary/Middle School. This grant provided core operating support. Afya Baltimore, Inc. (ABI) is a nonprofit charter management organization that governs three schools: Brehms Lane Public Charter School (Grades PreK-5), Afya Public Charter School (Grades 6-8), and Tunbridge Public Charter School (Grades PreK-8). In 2014 and 2015, the Goldseker Foundation provided grant funding to ABI for the conversion of Brehms Lane Elementary School–until then a traditional neighborhood public school–to charter status. This grant provided funding for costs to merge Brehms Lane Public Charter School and Afya Public Charter School into one PreK-8 school with two campuses, including communications and rebranding associated with the merger. Govans Elementary is a neighborhood-zoned charter school that served 441 PreK-5 students in 2017-2018. Govans was a traditional public school until 2014, when the Baltimore Curriculum Project took over operation of the school as a charter school, retaining its neighborhood zone. BCP also operates the Govans 21st Century Community Learning Center, which includes a STEM-based after school program serving 120 students, four days a week. Beginning in the 2019-2020 school year, as part of the 21st Century Facilities plan, the school community will move into swing space while the existing facility is demolished and rebuilt. Retaining enrollment during the transition year, as well as building a pipeline to grow enrollment when the school moves back into a new, larger facility, will be critical to maximizing the opportunity presented by a new facility in a diverse neighborhood zone. This grant provided funding for the Community School Coordinator position, which has responsibility for enrollment outreach. Baltimore Corps’ mission is to build the city’s next generation of leaders by recruiting, developing, and connecting outstanding young professionals to serve as fellows at effective nonprofits, social enterprises, and government agencies to scale solutions that work. Baltimore Corps creates leadership opportunities for professionals, it also aims to expand the strategic capacity of high-impact organizations and ultimately, strengthen Baltimore. There are now more than 150 Baltimore Corps participants who have either completed fellowships or are currently active in the program. This two-year grant of $125,000 per year provided core operating support. The Baltimore Community Mediation Center (BCMC) has operated in Baltimore since 1995, providing no-cost, accessible, and inclusive mediation services throughout the city. BCMC strives to repair relationships; prevent violence, property destruction and division in neighborhoods; and to intervene before and after civil and criminal court charges are filed. The goal is to create a peaceful Baltimore, where all residents have the skills to manage and transform conflict and have access to and use community-based conflict resolution programs. This grant provided funds for a new Development Director position. For approaching 20 years, Healthy Neighborhoods has developed market-driven strategies to benefit Baltimore’s middle neighborhoods–areas with significant assets but stagnant or undervalued real estate beginning to age without improvement. By investing in these properties and their improvement, providing loans to homebuyers and homeowners, marketing neighborhood assets and strengthening resident capacity, HNI works to stabilize and grow middle neighborhoods. This grant provided core operating support. Baltimore’s Promise is a collective impact effort focused on creating a continuum of care and services for all youth across their life span to improve outcomes for them. It is focused on building a culture of shared accountability and collaboration across Baltimore City. The mission of Baltimore’s Promise is to coordinate strategy, identify quality programs, support alignment activities, establish shared measures for meaningful results, build public will, and advance policy on behalf of Baltimore City’s youth. Baltimore’s Promise has five ambitious goals for the City’s youth as they transition along each part of the cradle to career continuum: babies are born healthy; children enter Kindergarten ready to succeed in school; children and youth achieve at grade level in school; youth graduate high school prepared for the next step without remediation; and youth earn quality post-secondary credentials or receive training and are career-ready. This grant provided core-operating support. Thomas Jefferson Elementary Middle School is a PreK-8 school located in the Hunting Ridge neighborhood of West Baltimore, near the city-county line. The school is one of very few elementary schools in the Baltimore City Schools system that offers the International Baccalaureate Program, an academically rigorous curriculum with a focus on teaching students to think critically and independently. It is also an intensive learning site for the district’s Blueprint for Success focus on student wholeness, with support from the Collaborative for Academic, Social and Emotional Learning (CASEL). With a new leader in place and support from Live Baltimore’s Way to Stay initiative, Thomas Jefferson Elementary Middle School has the potential to be another school that helps keep families in Baltimore City. This grant provided funding for staff professional development and an after-school club for middle school girls. Arts Every Day strengthens learning in Baltimore City Public Schools by making arts education and cultural experiences an integral part of classroom instruction for all students. This Management Assistance Grant provided funds to support an external evaluation of its core program–the Arts Every Day Schools Program–which currently serves forty schools. As Arts Every Day works with district leadership to improve equity and access to the arts, the external evaluation of its schools program will be used to determine how the program and organizational scope of work might change to better support the newly adopted district goals. For more than 30 years, At Jacob’s Well has provided transitional housing for hundreds of mentally ill men and women. In 1998, AJW expanded its program into subsidized permanent housing when it became part of Baltimore’s Shelter+Care program. The combination of transitional units and permanent units has created successful outcomes toward AJW’s goal of ending homelessness among the mentally ill. AJW has embarked on a project to eliminate reliance on third party landlords by transferring residents in leased units to owned units. AJW has been fundraising to acquire and renovate targeted properties. This Program-Related Investment provided a low-cost, $100,000 working capital loan to maintain programming during the acquisition and renovation process. Leveling the Playing Field gives underprivileged children the opportunity to enjoy the mental and physical benefits of youth sports participation. It does this through the collection of used/excess sports equipment from schools, manufacturers, individual families, and others. After being inventoried and sorted at the LPF warehouse, the equipment is then redistributed to schools, sports leagues, or other organizations serving low-income communities. At the Baltimore Collaborative Warehouse, LPF shares space and resources with four other donation/volunteer driven nonprofits. This grant provided core operating support. The Friends of Patterson Park works in partnership with Baltimore City Recreation & Parks to ensure a safe, welcoming, vibrant, well-tended and well-used park that contributes to the health of the surrounding neighborhoods, home to more than 53,000 people within walking distance of the park. This grant provided core operating support. Live Baltimore’s mission is to recruit and retain Baltimore City residents by attracting people to Baltimore’s thriving neighborhoods, and by helping residents find a way to stay in the city. Live Baltimore does this through new resident acquisition and neighborhood marketing; homeownership promotion; employer outreach; real estate industry outreach; data analysis; and resident retention programs focused on schools, space, and support. This grant provided $50,000 for core operating support and $50,000 for Way to Stay program costs. The Loading Dock, established in 1984, is the nation’s first successful, self-sustaining, nonprofit clearinghouse of reusable and surplus building materials and has been a model for similar facilities across the country. TLD inventory is used primarily in home renovation projects by low to moderate income owner occupants and investors, nonprofit community groups, and for historic and arts projects. TLD’s 7,500 clients improve 10,000 homes each year, saving $2.4 million annually. This grant provided funds for program expansion related to long-term sustainability plans. Celebrating its 25th Anniversary in 2018, SWCOS concentrates its efforts in vulnerable communities with people who have been marginalized. Goldseker Foundation has been the largest funder of SWCOS’ Neighborhood Fellows program since its inception in 2005. 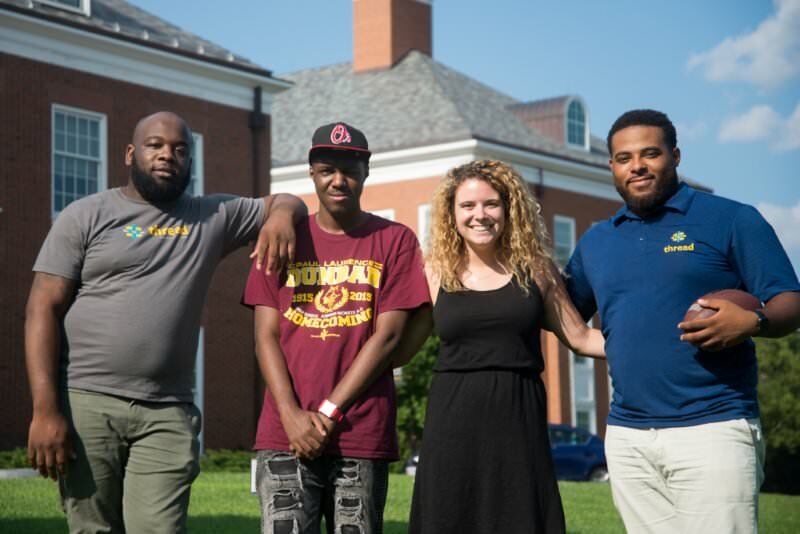 Neighborhood Fellows are graduate social work students who add staff capacity to community development organizations working to build stronger neighborhoods in Baltimore City. This grant provided project support. Cecil Elementary School is a hidden gem located two blocks north of North Avenue in the East Baltimore Midway community. It is a neighborhood-zoned traditional public school with a strong reputation in the city. In December 2016, the school was awarded Maryland’s coveted EGATE (Excellence in Gifted and Talented Education) status–the only K-5 school in the city to hold that distinction. Despite its strong program and excellent reputation, Cecil’s enrollment has suffered in recent years due to the decline in the surrounding neighborhood population. This grant provided funds for after-school programming, which the school community has determined is needed to support students and families and to increase enrollment. Located only 1.2 miles apart on the South Baltimore peninsula of Federal Hill/Locust Point, Federal Hill Prep (Prep) and Francis Scott Key (FSK) together served a total of 473 students in grades K-5 in the 2016-2017 school year. FSK also has a middle school for grades 6-8, which served an additional 260 students in 2016-2017. While both schools have experienced enrollment growth at the elementary level, FSK’s middle school enrollment has continued to decline in recent years. This grant provided funds for the two schools to work together on joint upper-elementary school programming to build a pipeline for enrollment from both schools into the FSK middle school program. Improving Education manages a multi-school Networked Improvement Community through which teachers, administrators, and community members work together to redesign instruction and support for students to improve early literacy outcomes in PreK through second grade classrooms. Achieving reading proficiency by third grade is crucial to the future success of a student’s academic career, while 60 percent of low-income families report having fewer than ten books in the home. In speaking with parents across the city, Improving Education staff identified issues with access to books, inconsistencies of parenting routines, and a general lack of resources to support their child’s healthy growth. In response, Improving Education created Bedtime in a Box, which strives to provide not only the needed books, but to link reading to a bedtime routine that happens every night, prompting multiple positive effects on health and education. This grant provided working capital to expand supply and distribution of bedtime boxes. The Ingenuity Project serves the largest concentration of gifted and advanced students in grades 6-12 in Baltimore City Public Schools. The middle school program provides students with rigorous STEM courses and experiences that prepare and inspire a pursuit of advanced STEM curricula in high school. The high school program aligns to the highest standards in math and science to enable students to enroll and succeed in selective colleges and STEM careers. This grant provided funds for enhancements to the Ingenuity Program at Hamilton Elementary Middle School. Baltimore Montessori Public Charter School enrolls 450 students from 26 Baltimore City zip codes through a city-wide lottery. It is one of the most diverse public schools in the city. Inspired by mounting evidence of the value of diverse and integrated schools for all students, the school leadership wishes to take a deeper dive into its data and systems to identify any gaps related to equity in the school’s educational opportunities, outcomes, and disciplinary practices. This analysis is expected to lead to the development of an implementation plan with applicable strategies to ensure the school environment is culturally inclusive and equitable for all staff, students, and families. This Management Assistance Grant provided funds for a consultant to assist with an equity audit of the school. Code in the Schools was founded in 2013 with the mission to expand computer science education opportunities for underserved and underrepresented youth in Baltimore, in order to prepare them to be active participants in growing technology sectors. Since its founding, Code in the Schools has seen its budget and program grow by 30-50 percent each year. Still, demand is greater than capacity, and with rapid growth comes the need to assess and reconsider organizational structures. This Management Assistance Grant provided funds for strategic planning. The city’s longest operating public charter school, Midtown Academy serves 198 students in Kindergarten through eighth grade. For years, Midtown Academy has struggled with the space constraints of the small school facility that it rents from the Archdiocese of Baltimore. More than one hundred students applied for the 22 Kindergarten spaces for the 2018-2019 school year. The waitlist for each grade outweighs the number of open slots by at least 500 percent. This grant provided funds for a real estate consultant to assist with pre-development activities related to identifying, obtaining, renovating, and moving to a new facility for the 2020-2021 school year. During much of the 20th Century, the Historic Upton Neighborhoods were known as a wellspring of African American culture, achievement, and activism. Bethel AME Church acquired 1429 McCulloh Street in 1988 as a space to provide resources for the Upton community. The building was used as a community center until its closure in 2010. Bethel Outreach Center, which now owns the building, has been working towards bringing this resource back online, and has raised almost a third of the funds needed to fully renovate the building. Potential capital funders and service providers have expressed interest in the project once it is further along in its planning for tenant occupancy and programmatic offerings. This grant provided funds for staffing the project and fundraising to help move this effort from a planning stage to execution. In a first-of-its kind project in Maryland, Chesapeake Bay Foundation will help the City of Baltimore develop an Environmental Impact Bond to fund green infrastructure projects throughout the city. Individual projects will involve planting trees, plants, and other forms of vegetation to absorb rainwater and associated storm water runoff to divert pollution from streams and waterways that eventually reach the Chesapeake Bay. This grant provided funds for the upfront planning and evaluation costs associated with assembling the Environmental Impact Bond. The Cardinal Keeler Regional Community School will be a $23.5 million project in West Baltimore–the first new Catholic school to be built in Baltimore City in 57 years. The school will be located at Lexington Street and Martin Luther King Boulevard, across from the University of Maryland Baltimore, adjacent to the University of Maryland BioPark. While the new school will draw students from all over Baltimore, the school’s immediate catchment area will include the Poppleton, Lexington Terrace, and Hollins Market communities where median household incomes are below $19,000. This grant provided funds for planning, fundraising, and neighborhood outreach costs. Baltimore Homecoming aims to build an alumni network of the city’s most accomplished natives and expats from around the country, reconnect them with their hometown, and foster new local investments, partnerships and philanthropy. Its first objective is to tap into a new market for social and economic investment that can spur development and growth. This grant provided program planning support. Made In Baltimore is a local brand initiative aimed at growing jobs and entrepreneurship in Baltimore City’s light-manufacturing sector. The program was started by the Baltimore Office of Sustainability in 2017, and has three core functions: business promotion, business development, and research and policy development. After a successful first year of pilot programs, MIB created a three-year plan for growth that builds on its successes and fills important gaps in entrepreneurial support for Baltimore City’s makers and manufacturers. This grant provided program support funds. Tahirih Justice Center provides holistic legal services to protect immigrant women and children throughout the Baltimore region who are seeking safety from extreme gender-based human rights abuses such as domestic violence, sexual assault, human trafficking, female genital mutilation, honor crimes, and forced marriage. This grant provided operating support for the Baltimore office. The Central Baltimore Partnership has served as a catalyst for investment and revitalization of the area from Mount Royal Avenue north to 23rd Street, between Howard Street and Greenmount Avenue. Through numerous volunteer task forces, comprised of the representatives of the 25 universities, businesses, nonprofit organizations, and city agencies that are now members of the Partnership, CBP has provided consulting, coaching, and fundraising support to a wide range of activities. Included among them are creation of hundreds of new and rehabbed housing units, both affordable and market rate; commercial development; creating an employment recruitment and referral pipeline for area residents; and introducing a private microenterprise organization to provide small loans to area businesses. This grant provided general operating support and funds for a feasibility study. The Fund for Educational Excellence plays a unique and vital role as Baltimore’s only public education fund. It serves as an independent partner, able to leverage deep insight into education needs and priorities, along with relationships with partners across Baltimore, to accelerate the pace of reform for public school students. This grant provided core operating support. The Southeast Youth Jobs Collaborative brings together ten partner organizations to provide meaningful work experience, employment training, enrichment and community engagement to youth ages 14 to 21 living in the neighborhoods around Patterson Park. In addition to a summer Youth Works program, the Collaborative provides year-round mentoring to participants in the employment program. This grant provided program support. Venture for America is a nonprofit organization that aims to strengthen U.S. cities and promote job creation by directing highly-talented, recent college graduates into startups and growth organizations that would benefit from a significant increase in quality human capital. Baltimore is now VFA’s second largest city with 70 active fellows and alumni spread across 40 companies. This grant provided program support for recruitment, training, and placement of fellows in Baltimore. Loyola University’s York Road Initiative is a place-based community development strategy geographically focused in the Greater Govans/York Road corridor communities of north Baltimore City adjacent to Loyola’s Evergreen campus. Partnering with neighbors, community associations, civic agencies, business owners, faith-based organizations, and others, the initiative focuses on the educational development, health, and well-being of community residents, as well as the economic viability of the adjacent neighborhoods, including residential and retail establishments. This grant provided program support. Strong City Baltimore organizes its work in alignment with three main goals: building stronger neighborhoods; developing quality schools; and increasing collective impact through partnerships. This grant provided operating support at $200,000 per year for two years. The Immigration Outreach Service Center is an independent nonprofit organization serving Baltimore’s immigrants and refugees by providing legal services, tutoring for children, health education, health screening, job counseling, and social service referrals. This management assistance grant provided funds for a consultant to help with sustainability planning. Young Audiences of Maryland, the nation’s largest arts education network, began in Baltimore in 1950 and is devoted to enriching the lives and education of Maryland’s youth through educational and culturally-diverse arts programs. YAMD partners with professional artists from all disciplines and with schools throughout Maryland for hands-on arts learning experiences. This management assistance grant provided funds to hire a consultant for fund development. As part of the 21st Century Facilities Initiative, the Calvin Rodwell school community will soon be moving to and merging with Grove Park Elementary Middle School, in the fall of 2018. This grant provided support for the continuing development and implementation of a successful project-based learning afterschool program, as well as communications with the CRES and GPEMS school communities about the facility process.